Frosted Bold Striped patterned privacy Window Film 40% Off from our online store. Instant striped patterned privacy glass finish. Ideal for DIY where glass is required to look like patterned glass and not glass coated with a sticky backed plastic. Designed for converting clear smooth glass on internal face of glazing or partitions or wherever privacy required. 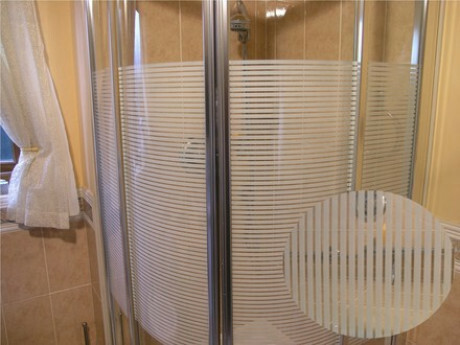 A smart bold striped patterned privacy glass finish.